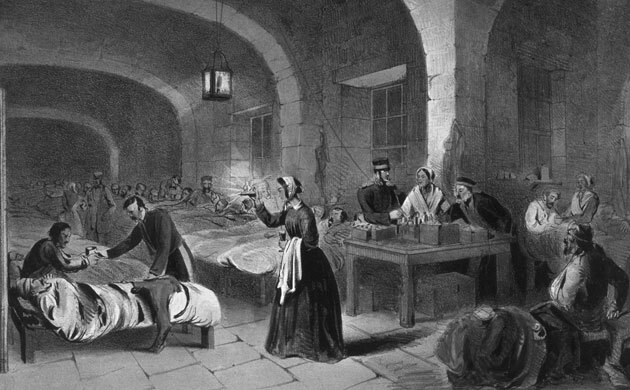 Devout and unforgiving, inexhaustible and chronically unwell, the farsighted and exacting Florence Nightingale famously gnawed her way through the barriers that kept genteel Victorian women trapped “in a meaningless round of trivial occupations” in order to promote her vision of a modern public health-care system. Both driven (her selected writings will fill a projected 16 volumes) and driving (she could be said to have worked two of her loyal supporters to death), she always put her cause first, with remarkable results. As Bostridge notes, to Nightingale, “earthly friendships” were merely “a hindrance on the path to true righteousness.” All this we knew from Lytton Strachey’s biting and elegant 1918 portrait in Eminent Victorians, a book that’s famously debunking; Strachey had a keen eye for Nightingale’s acerbity and a relish for describing it, but also plainly admired her achievements and her courage. Bostridge, author of a biography of Vera Brittain, doesn’t fundamentally alter that picture but, by virtue of his prodigious research, enormously enriches it with the nuance and detail that fill in the nooks and crannies of a real, and enormously complicated, personality. Absorbing, superbly written, and authoritative, this is a terrific biography of a woman to whom we owe a great deal, but would perhaps never want to meet.